As a business owner you have a duty of care to your employees. 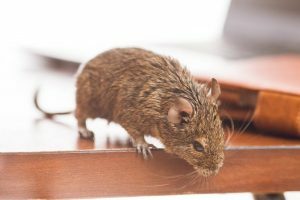 This means that you should be taking preventative measures to ensure that you do not end up with a pesky pest problem in your office. Of course, sometimes there is only so much that you can do! If you’re renting an office in a shared building with other companies, you will likely have to rely on the building management for pest-proofing the office block. If you’re a representative for a building management company, then of course, you have a duty of care for not only the companies that rent out your office space, but the building itself. All that being said; if those pests want to make their way in, they’ll find a way. In that case you will want to hire a office pest control company in Sydney that can come in as quickly as possible and tackle the problem for you. The dangers that pests can pose for your employee’s health is not to be understated. Depending of course, on the type of pest’s infestation that you are suffering, the dangers will vary. In this post we’re going to take a look at how to spot a pest problem and to identify which pest you’re being hounded by and what to do in that situation. Certain pests can go unnoticed for a long time, but generally, they tend to give away some pretty clear signs that they are there. For example, if you have a rodent problem you should look out for signs of faeces. You’ll spot little dark pellets on the floor. If that is the case, make sure that you are wearing protective gloves when you clean the mess up. You’ll also be able to hear scuttling in the walls and ceiling; however, this can be difficult in a busy, working environment. – Which is why if you do have any suspicions you should call for a commercial pest control expert to come and run an inspection immediately. Rodents carry all sorts of nasty diseases. Again, you have a duty of care to your employees, don’t leave any room for error. 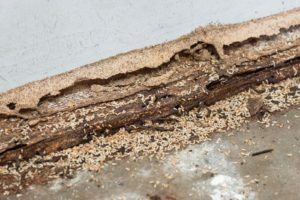 You can certainly hear termites because they make a very distinct chewing noise when they’re going at it and feasting on the structural integrity of your property. That said, you’ll likely struggle to hear this in a particularly busy office. If you have hollow sounding timber when you knock on certain walls, this is also a pretty clear sign that termites have been at it. You might even be able to see some clear holes in wood where the termites have been tunnelling away. Keep an eye out for any signs and call for assistance immediately if you have your suspicions! If left unchecked, termites can cause an incredibly amount of structural damage which can of course, lead to devastating accidents. It’s quite easy to spot when you have an infestation of wasps or cockroaches and certain other insects. Basically, if you spot an unusual amount of activity going on in your office, then you should call for an inspection. Wasps nests could be located in wall and ceiling spaces and of course, if disturbed can be very dangerous. 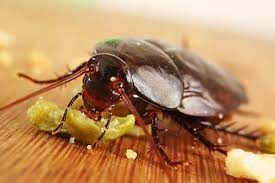 Cockroaches absolutely love damp and dirty areas, so be mindful of how you keep your breakroom / kitchenette area. All food waste must be disposed of immediately and you should have the bin changed every day. – Otherwise you’re practically sending them an open invitation to invade your office. Again, if you have your suspicions, be sure to call for a commercial pest control service straight away. That way you’ll be able to nip the pest problem in the bud before it gets any worse and hopefully, you’ll be able to do so without causing too much disruption to your operating hours. A big concern for business owners when it comes to pest control is how disruptive the treatments might be to operating hours. Fortunately, there are a number of non-toxic methods which can used, so you won’t have to leave the office for very long at all. In some cases, your pest control experts can carry out the treatments after hours so that you and your employees can get back to work immediately. Again, the sooner you get in touch with your local pest control expert, the sooner you can start putting together a plan of action. Pests absolutely love mess and clutter. This is a great opportunity for you to have a big spring clean with your employees and to de-clutter the office entirely. Gut your filing cabinets, clear out desks, tidy up cables and wires and thoroughly scrub any toilets and kitchenette areas. You should even clear out the fridge and give that a deep clean too. Rather than just emptying the trash, deep clean the bin as well. Not only will a clean and tidy office be great for keeping the pests at bay, but it’s also great for productivity as well. Your employees will feel more at ease in a clean and tidy space and they’ll feel more obliged to keep it that way as well. Introduce a cleaning roster and give out incentives for keeping the office clean and reprimand those that don’t. If you do all of this, you won’t even have to worry about dealing with any pest problems in the future. 9 times out of 10 an infestation is caused by poor cleanliness. Take full advantage of this opportunity to create a safe, comfortably and tidy environment for your employees. If you would like to explore our services further or if you have any questions regarding a potential office pest control issue, please do not hesitate to contact us today.